It’s the holiday season again and excitement fills the air as employees eagerly await their 13th month salaries and Christmas bonuses! 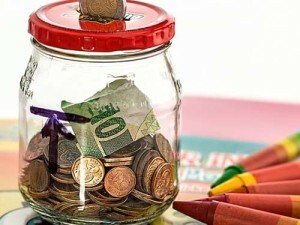 This holiday, many will soon find their payroll accounts FILLED with cash… that will all be spent in less than a week. I’m sure you know how that feels. Happy and motivated when you see those big numbers in your payroll… and depressed the next week when you realize that you’ve spent it all. That’s the main reason why many of us don’t achieve more. Every time we earn more, we WASTE more, and we go back to where we were. Two steps forward, two steps back. 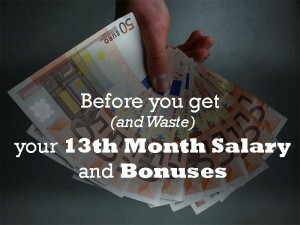 So HOW do we stop wasting our 13th month pay and bonuses? How do we put it to better use, while STILL having fun? We’re here to learn that now! Imagine you’re at the shopping mall with your family, including your six-year-old son. Just as you give him his $20 / P1,000 Christmas gift, he runs towards the candy stores and toy stores to spend it all in less than 30 minutes. He’s been expecting your cash gift and was already thinking of things he wanted to buy before you even gave him the money. In a day or two, all the candy is gone and in a week, he already grew tired of that new toy. Most adults behave EXACTLY like that kid. Before they even get their bonuses, they think of all the exciting new toys they want to buy. The instance they get the money, there’s no time to think: If they can afford that thing they want, they buy it ASAP! A week or two later, that shiny new toy loses its appeal and we’re back to the daily grind, working every day to pay the bills. It was fun while it lasted. Again, you probably know how that feels. Imagine this scenario instead: You gave your son half of the gift ($10 / P500), and you placed the other half of in an investment that grew to P5,000 several years later and helped with his college tuition. He still spent the $10 / P500 on the candy and toys he wanted, but you made sure that the other half of his gift went somewhere useful. —Save 20% for Safety (Click Link for the Savings and Budget Plan). 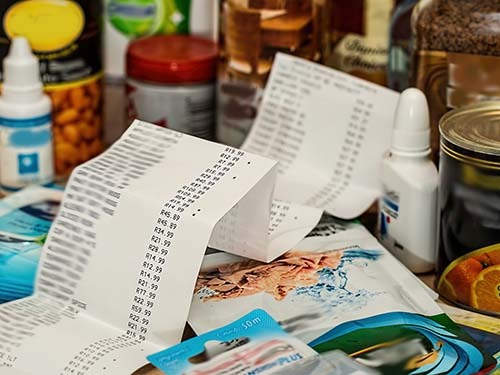 —Save 20% to Pay Back Debts (Click Here for the “How to Get out of Debt” Article). Pro Tip: Before you go shopping, keep it in the bank for a few days. Wait until your excitement wears off and you’ll likely find better uses for the money (like a better and less-expensive item and gifts, or maybe budget it for your children’s tuition and school supplies). ANOTHER Pro Tip: Use a part of it to buy a great finance book (they will usually cost around P500 or $10, sometimes less). 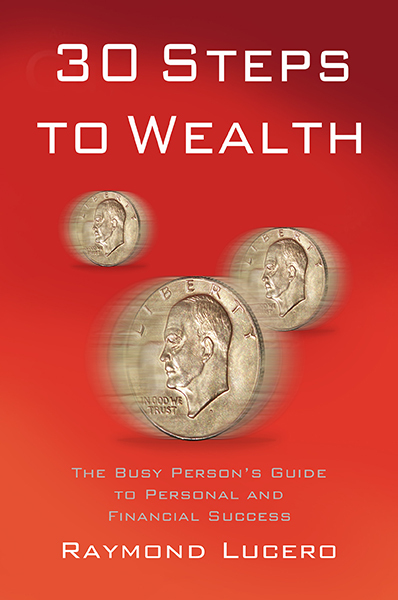 Get one that will teach you how to handle your finances and choose good investments. You can earn millions when you learn what you need to do to earn it. Your 13th month salary and Christmas bonus will only appear once every year, and you’ll only have a few years left before you grow too old to work and need to retire. Make sure you spend your money well instead of wasting it in pointless entertainment! Remember: You can use your money for whatever you want and need… just make sure you SAVE FIRST! Family gifts, new gadgets, investments, insurance, business, etc. Where will YOU use your 13th month salary and bonuses?